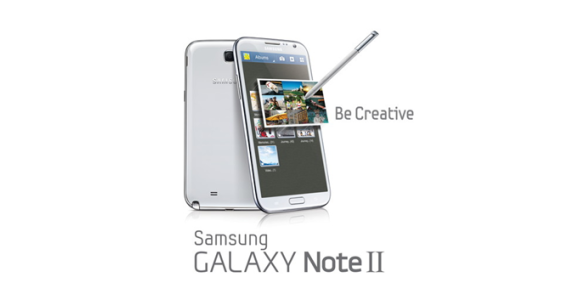 IFA 2011 was dominated fairly successfully by the launch of the original Samsung Galaxy Note ‘phablet’. It’s had a pretty good year, selling well and generally being awesome all round. The second one, announced at IFA 2012, looks set to be even more impressive. Taking its design cues from the Samsung Galaxy S III the Note II is slimmer and curvier than its predecessor whilst still being a fair bit bigger with its 5.5-inch screen. That touchscreen display is a HD Super-AMOLED 1280×720 16:9 screen which Samsung claim is thinner, brighter and lighter than the Note II. Looks wise, it will be available in two colours known in typical marketing speak as “Marble White” and “Titanium Grey”. The headline grabbing specs though, make for pretty impressive reading. Its 1.6Ghz quad-core processor is likely to make it one of the fastest phones around and when you combine that with 2GB of RAM the time you spend waiting for pages to load and apps to boot is going to be pretty minimal. This hardware will be getting a good workout from the Android 4.1 Jelly Bean operating system that’s running on it. It’s a truly multimedia phone too, playing 1080p movies, MKV videos and a huge variety of other music and video formats. If you’re looking for something to replace your digital camera, this really could be the ‘phablet’ to do it. The 8-megapixel camera is coupled with a handy LED flash and the canny among you might notice that the best features of the S3 have been carried over to the Note 2 – Best Photo, Best Faces and Low-light Shot are all present. If you’re a fan of pointy things, and who isn’t, the stylus makes a welcome return. Known by Samsung as the S Pen, it has been lengthened and thickened to give better grip and usability. It also seems to psychically know if you’re hovering over an email or other S-enabled apps in order to get access to a preview of the content. There are still plenty of uncertainties though. We don’t know how much it will cost. Sensible estimates place it around the same kind of price as the original Note at launch, but as they try and steal market from Apple, who knows if they will try and undercut the iPhone. It promises to have a 4G LTE chip included in areas where the high speed service is available. Nevertheless, we can’t know yet if it will support Everything Everywhere’s 1800Mhz 4G LTE spectrum when that rolls out later this year. If not we’ll have to wait until the end of 2013 for the full auction to be carried out. About the Author – Ollie Sheerin writes about phones, tech and the gadget industry. I also promote T Mobile Offers. Follow me @OliverSheerin.